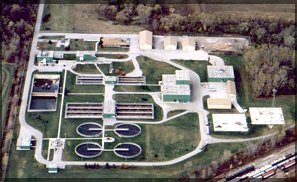 Day to day management and operation of Williams Township's municipal water system and sanitary sewer system is provided by the Bay County Department of Water and Sewer (BCDWS). Please contact the BCDWS directly with any operational questions regarding the township's municipal water or the sanitary sewer systems. Bay County Department of Water and Sewer (BCDWS) customers can use the electronic fund transfer (EFT) payment program to pay their water and sewer bill. Simply complete the EFT Authorization form and submit it to the BCDWS office. Your next quarterly bill will be sent to you by first class mail with a message "Autopay Plan - Do Not Pay." On the due date of your bill the total amount will be deducted from your checking or savings account.